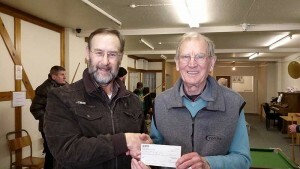 Left to right: Peter Howarth and Bernard Potter (Chairman of LATH) receiving the cheque. The Mission Statement of LATH (Looking After The Homeless) is – “To ease the plight of the homeless in the Crewe & Nantwich area, with the long term aim of eliminating it altogether”. In October 2014 LATH took occupation of 38 High Street, Crewe on a 3-year lease. They have installed male, female, and disabled toilets, a new kitchen with an adjacent dining area, a computer station, with Broadband and internet installed, and separate lounge and games areas. The property is now fully operational as a drop-in centre, and is open on Tuesdays and Thursdays from 10.00 am to 2.00 pm.